Hotel ibis budget Freiburg Sued. Book online now! Free Wifi! Our stay was consistent with previous stays - all very good, clean, quiet and good location. Every time we stay in one of your hotels we get a consistent experience which is good and is exactly why we keep booking. The locations of the hotels are very convenient as well as invariably we are stopping mid point on a long journey. Thank you and keep up the good work..
Clean room and bath; good beds; excellent breakfast considering the very competitive price. Quiet location at night; bus connection in front of the hotel. 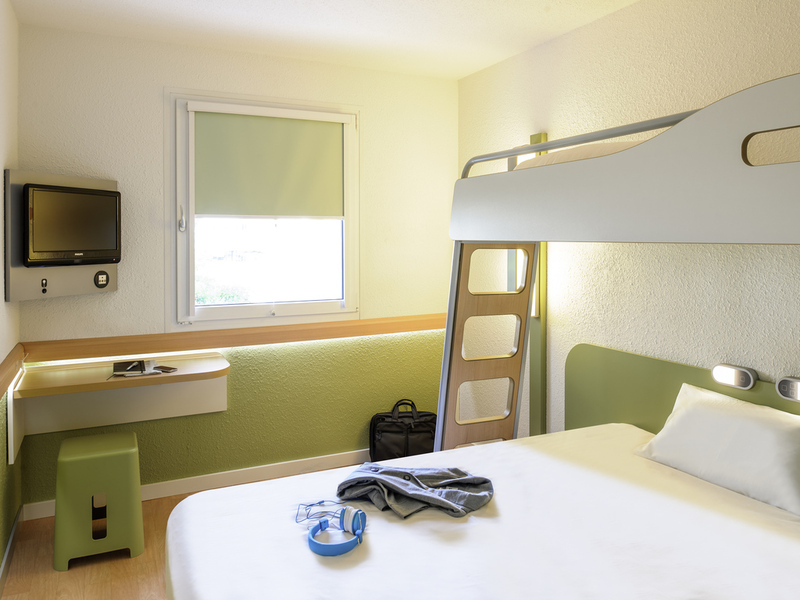 Our second experience in this Ibis Budget as good as the first one. Arrival fine. Next day staff, not helpful. Required safe or deposit box for 2 night stay, asked night staff coming off shift at 9 who said he'd ask manager coming on at 9. She basically ignored me. Manag dcto speak again to the night person who said 'i don't think she wants to'. 'she' never said anything, just avoided me. Nice, clean, friendly - especially dog-friendly! We travel with out dogs, and are happy to stay at IBIS- hotells. The hotel room is Clean and quiet to stay. Reception staff is nice, and the hotel is comfortable to live in. Price is acceptable. I had to wait the room 6 hours sitting in the car because on the book is printed "check in at 14.00". There were available room already at 9 o'clock but the rules says...I have been Ibis Freiburg several time but this was the last. We had a nice stay. Check-in was simple through a machine. A vending machine had beer that we enjoyed. The bed was good and the breakfast aswell. Good position and quiet. Staff friendly, breakfast good. Plenty of parking. Accommodation clean and sufficient. Room was ok but bed linens and covers were not ready and they were short. The room was ok for the price but one of the beds didn't have any linens and the cover of the second were too short. Perfect. However the possition of stair to the top bed should be flexible. Not fixed. I bombed my head into it 2 times.